We are so grateful to all who made the 2017/2018 school year a productive and inspiring one. Though school is almost out for the summer, we will still be bringing you a monthly newsletter with reminders, important dates, and fun content to get you ready for fall 2018. We wish you all a great summer season and are looking forward to seeing you in September! 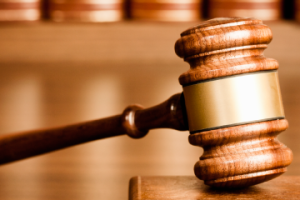 These discussions will include information regarding the addition of a second Narragansett Police Department School Resource Officer and training in security measures. We will also discuss the plans for student, staff, and parent training in the ALICE protocol , implementation of Sandy Hook Promise programs and additional security measures and procedures planned for each school. There will be opportunities for input and ideas to help our schools be as safe as possible. 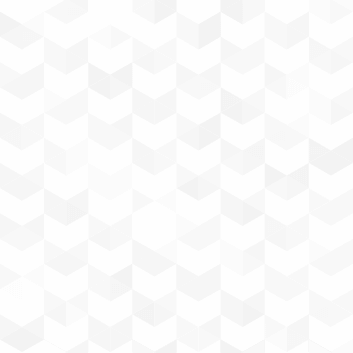 Thank you to all who participated in SurveyWorks! On June 5th, RIDE released the 2018 results in a roundtable conversation that was livestreamed on their Facebook page . SurveyWorks results will help inform RIDE policy, and help the agency continue to emphasize the importance of school culture and its impact on educator satisfaction, family engagement, and ultimately, student achievement. For more information about SurveyWorks, please visit the RIDE website . 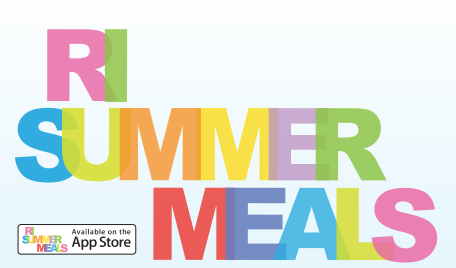 As the end of the school year approaches, Rhode Island Department of Education, (RIDE,) is gearing up for their Summer Meals Program and they need our help! During the school year, nearly 76,000 Rhode Island students receive meals daily through the National School Lunch Program. In the summer months, those students and many more are at risk of going hungry. RIDE served more than 467,000 meals last summer and is hoping to surpass that number of students receiving access to healthy meals. If you or someone you know may be able to benefit from this program, please call 211* to learn more. Thank you for helping us build "Healthy Kids, Healthy, Healthy communities for a Healthy Rhode Island." 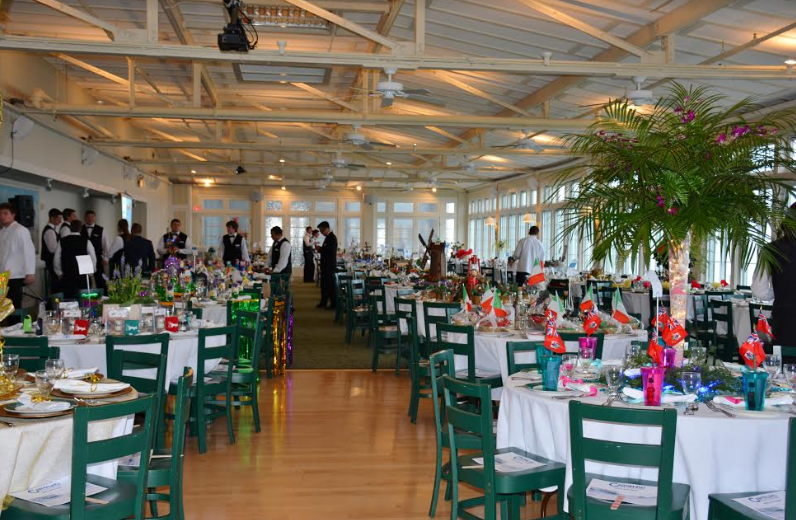 Thank you to our Beach Blanket Bidding Sponsors and Volunteers! It is with great pleasure that we share the wonderful news with all of you that 2018's Beach Blanket Bidding was an outstanding success! 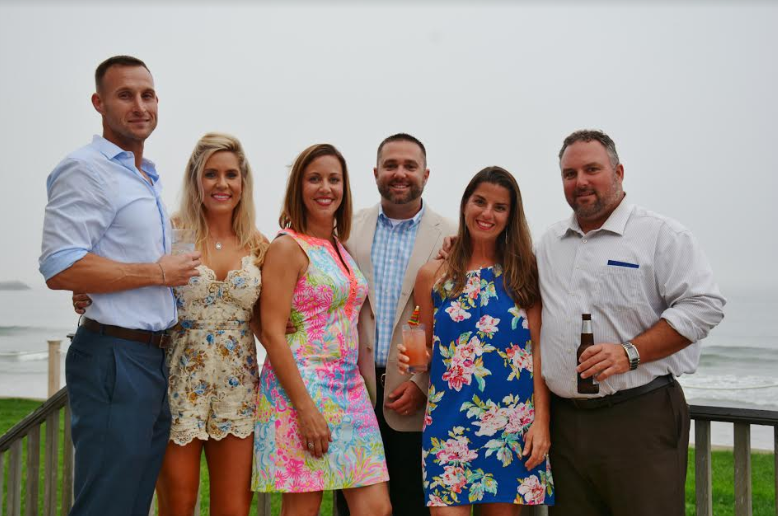 Thanks to our dedicated Narragansett Community who came out to the beautiful Dunes Club on Friday, June 1, the Narragansett Schools' PTO is on track to have raised over $75,000 for our three schools! The combined generosity and devotion by so many caring individuals, staff members, businesses sponsors and our amazing team of volunteers allowed for a spectacular evening of friendship, entertainment, creative themed tables, and many enjoyable moments all of which benefit the deserving schools of Narragansett. 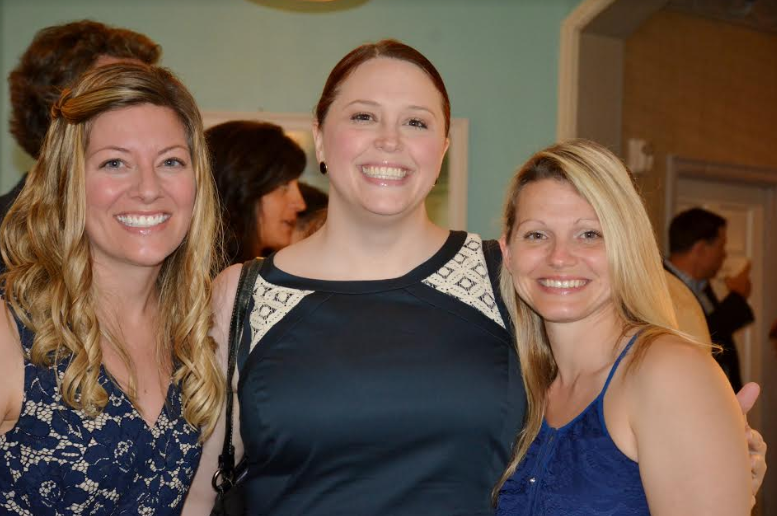 We also want to thank Dale Loomis who volunteered her time to take photos to capture the night! We applaud your passion for our schools and your commitment to our students​​ and wish you and your families a very safe, joyful, and sun-filled summer. ﻿We hope Narragansett’s One to One laptop program has been useful in helping you excel academically while at Narragansett High School. ﻿All 12th grade laptops should have been returned to the school library as of June 7, 2018. If you still have not returned yours, please do so immediately. 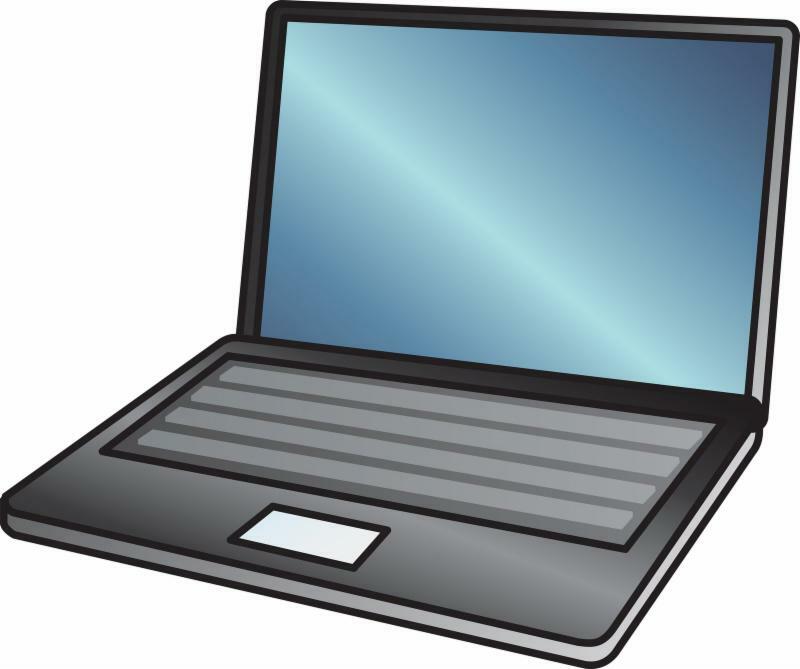 As a reminder, loaner laptops will be accepted if your laptop is being repaired. Please save any data you need that is stored on the computer or student shared drive (Desktop, downloads, documents, etc) by uploading it to Google Drive. Please see Mr. Emery if you need help doing so. All data stored on the laptop itself will be permanently deleted. 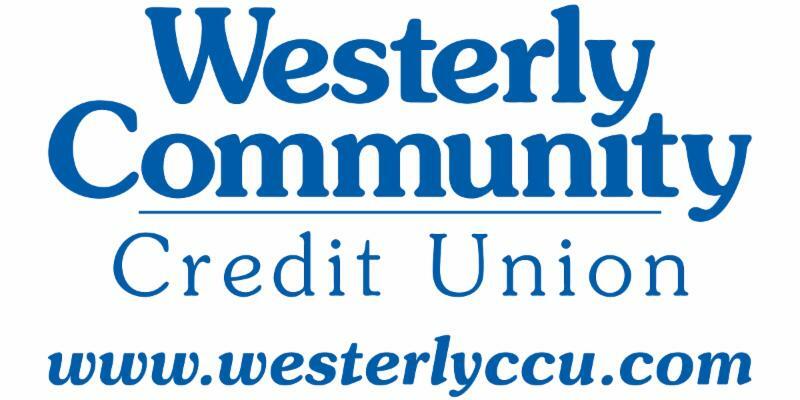 Now is the time for teachers to apply for the Westerly Community Credit Union (WCCU) Teacher Grant ! This grant program, which is in its 3rd year, will be awarding up to $7,000 for the 2018/2019 school year. To apply and learn more, please click the buttons below. 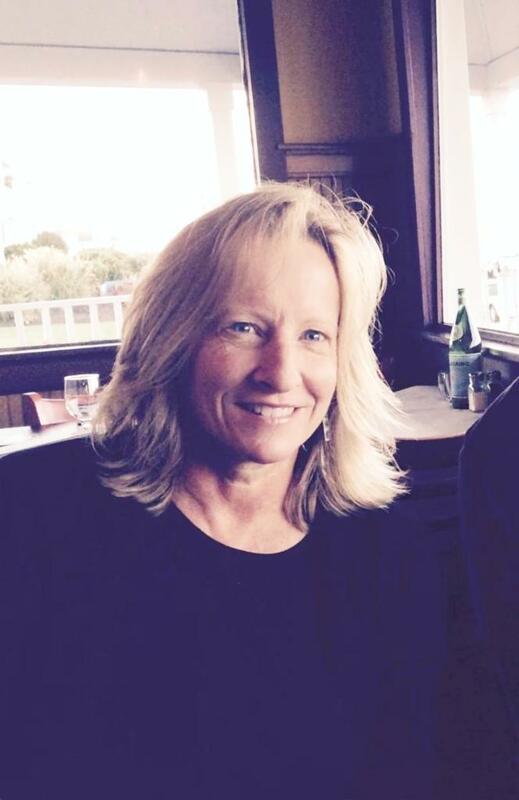 I've been teaching in Narragansett since 2000, beginning as a Reading Specialist for 13 years at both NES and NPS. I then worked for 2 years with 6th graders teaching mathematics. Currently, I teach 5th grade Social Studies. My first teaching job was in Coventry where I taught in the 6th grade for 10 years. That is where I met my husband Steve, where he was the PE teacher. The kids, especially the 5th graders- the current grade I work with. I love their enthusiasm, their energy and their love of learning. Equally important to me are my colleagues at NPS. They are supportive, smart and fun. I enjoy doing things outdoors with my husband like paddle boarding, skiing and bike riding. I have 3 great kids- Zack 23, Abby 21 and Austin 20. Hanging out with them is always fun and a bonus! After graduating from Syracuse, my best friend and I flew out to California with a suitcase and our bikes. When we arrived we rode our bikes from LAX to Newport Beach (it was a crazy ride, but we were young!) Lived in Newport Beach for 3 years-worked at Woody's Wharf (Chuck Norris' restaurant), traveled and had fun! Thank you to all who came to our student art show on Thursday, May 17th! Students in grades K-4 showcased their artwork with a theme of printmaking, where their pieces represented how they used a unique method of printing designs. The cafeteria was packed for the full two hours of the art show. 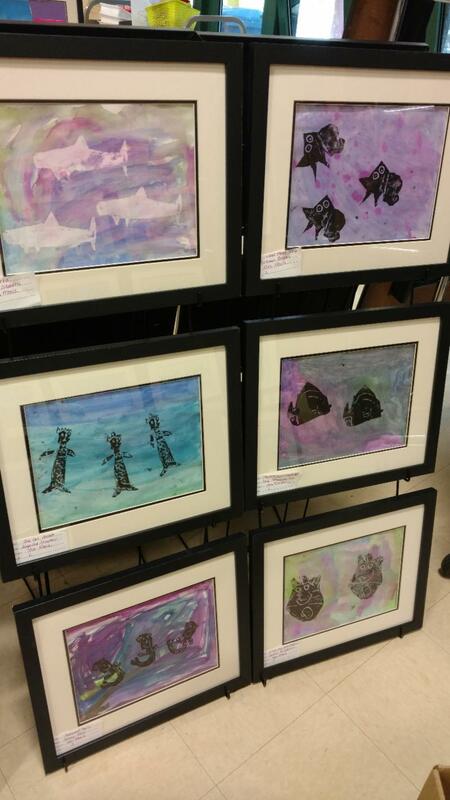 THANK YOU to all of the students, parents and the Narragansett staff who visited and volunteered at the art show. This yearly parade is organized by the 4th grade teachers. Principal Dandurand provides each student with a red, white or blue item to have while students march in the parade. 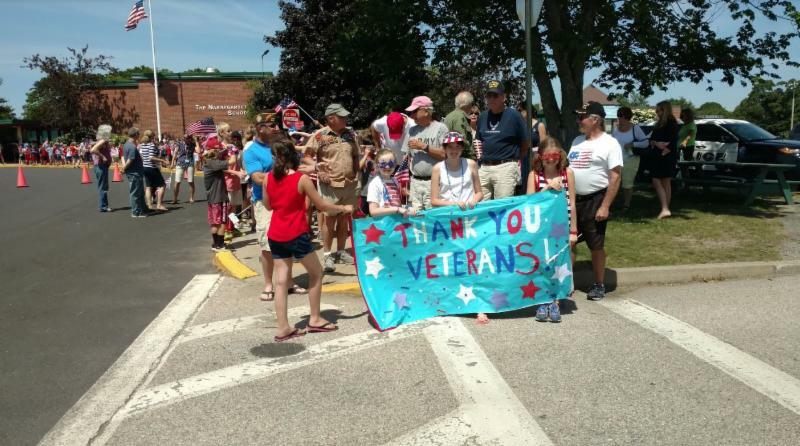 With the help of the Narragansett Police Department, the parade travels safely up the hill with family and friends lining the street to cheer students on, and then back to NES for an assembly, honoring local veterans, and filled with patriotic songs and history! 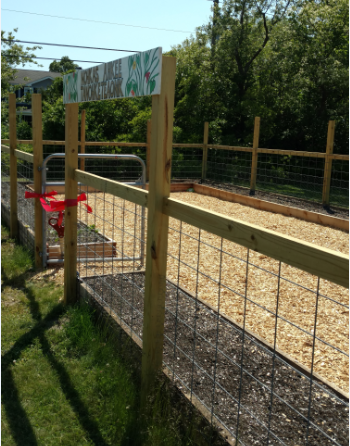 Just in time for the summer, NES dedicated and officially opened their garden today, which has been a project over the past few months. Many thanks to our wonderful volunteers such as parents, students and staff, who helped raise funds and beautify this space for all of NES to enjoy. Did you happen to see the advertisement section of The Narragansett Times weekly on May 31st? 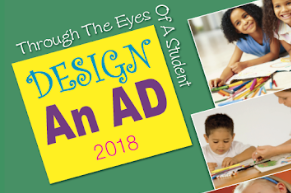 Some of our 4th and 5th students recently took part in a contest where they drew ads for local businesses. Click below to review the first round of winning designs! It was a wonderful way to showcase the artistic talent of our students and give many the chance to try their hand at something new to support local business. 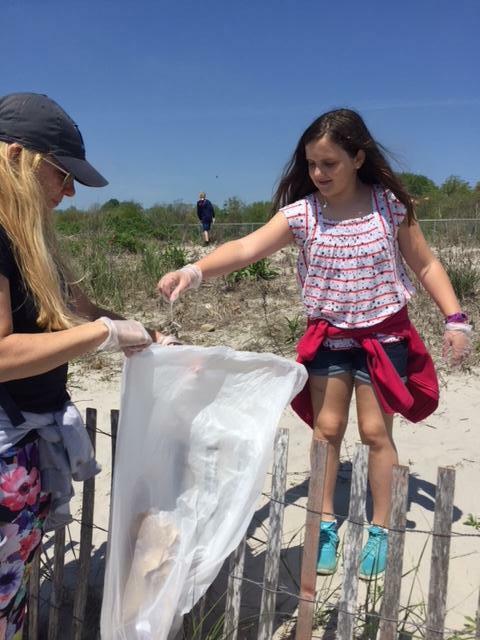 On Thursday, May 24, Narragansett Elementary School took part in a community beach clean up! Thanks to the efforts of all the students and volunteers, the school was able to fill many bags with trash that once littered our beautiful beach. What a way to kick off the summer season! We hope Narragansett’s One to One laptop program has been useful in helping you excel academically while at Narragansett Pier School. All 8th grade laptops must be returned to the school library on Thursday, June 21, 2018 during the SOAR period. Loaner laptops will be accepted instead if your laptop is in for repairs. Please save any data you need that is stored on the computer or student shared drive (Desktop, downloads, documents, etc) by uploading it to Google Drive. Please see Mr. Bromberg if you need help doing so. All data stored on the laptop itself will be permanently deleted. Each student will receive a new school issued laptop for grade 9. The Dell Latitude 3340 laptops for grade 8 are available for purchase. Please click below for details on purchasing your NPS laptop. For any questions or concerns, please email Jake Bromberg- jbromberg@nssk12.org . Our 2018 NPS Career Day Was a Success! 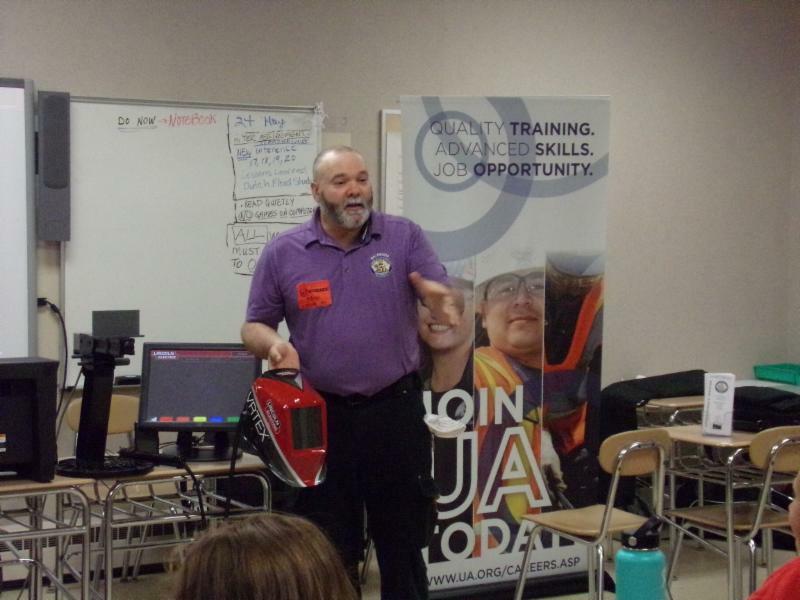 On Friday, May 25th NPS invited industry experts to take part in the annual Career Day to help students learn more about the many fields and occupations in the world, especially right here in Rhode Island. We welcomed career men and women from all over the state to talk about their experiences in the field, their journey, and some tips to keep in mind when exploring interesting careers. Thanks to Vanessa Miller and all the amazing presenters who came to share their experience with our students in hopes to inspire them to think about their future career. 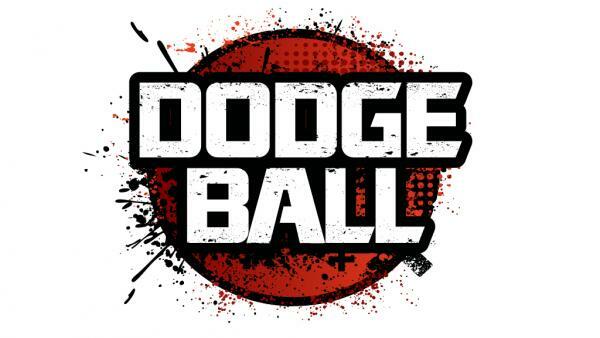 On Friday, May 11th, 5th and 6th graders competed in a Dodgeball Tournament. Although the 5th graders played a great game, one of the 6th grade teams ultimately took the prize. The event was organized and run by Lauren Avedisian, an NPS 5th grade student as part of her Genius Hour project for enrichment class. Genius Hour is like a mini Senior Project where students choose a topic of interest that they would like to research, write an output paper of their findings and develop a project in relation to what they researched. Lauren researched the heart and chose an event that would promote physical activity. She recruited a sponsor for the event to provide the 60 participants with FREE snacks and water, as well as a prize for the winning team. Marcus Scrhoeter from NHD served as the head referee with Ms. Miller assisting. Lauren raised over $100 for the American Heart Association by running this event! 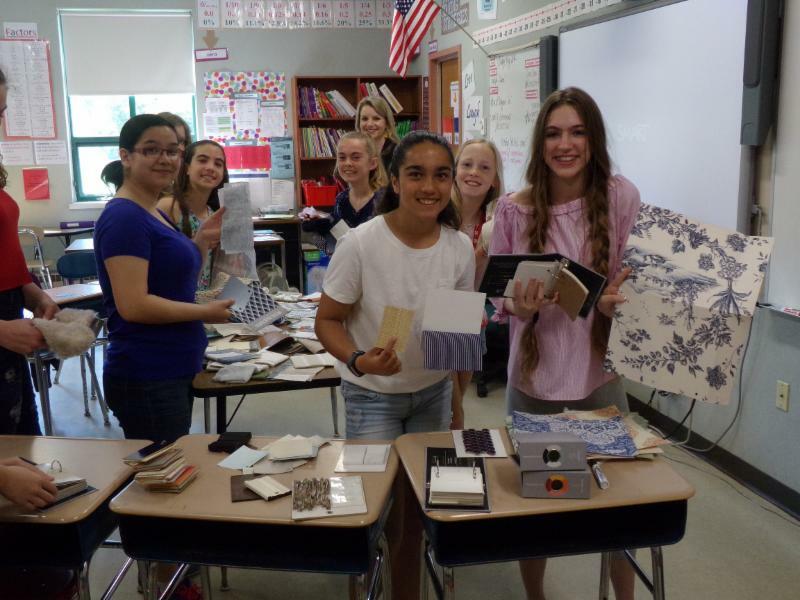 The 8th grade enrichment class has spent the year conceptualizing, planning and organizing for their spring carnival during their Event Planning class that meets once a week with Ms. Miller. 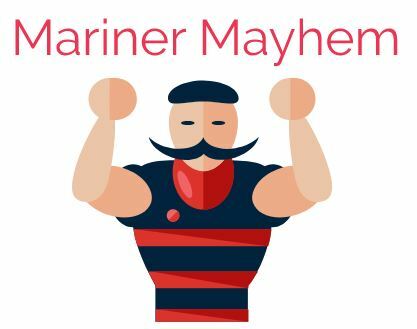 The Mariner Mayhem Carnival takes place today, Friday June 8th from 4 - 7 at NPS . We invite students in grades 5-8 and their parents to participate in activities on the soccer field such as a dunk tank, bouncy house, mini golf course (built by our 8th graders), ping pong toss, a talent show portion held in the cafeteria, basketball in the gymnasium, and much more! 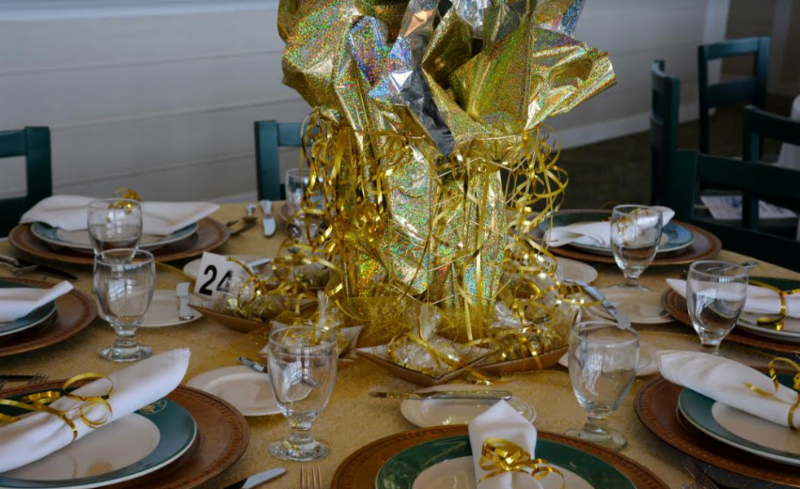 Check out the events website by clicking below. Tickets to participate in the activities can be purchased in the cafeteria upon arrival to the event. Parent supervision is kindly requested. 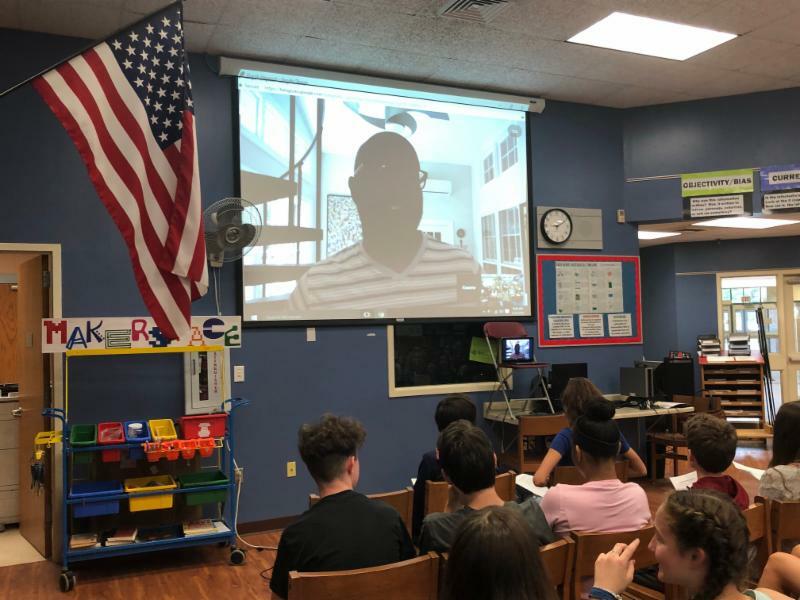 On Wednesday May 23, 2018 the 7th grade hosted a web-conference with author Kwame Alexander. This year, seventh grade students have been demonstrating an increased interest in reading and writing. NPS incorporated independent reading and free-writing activities into the weekly schedule, which has increased engagement in the classroom with a goal of furthering interest through a day of author chats, workshops, and the sharing of writing. Most recently, students have been particularly interested in the work of Kwame Alexander, a poet, educator, and the New York Times Bestselling author of 25 books, including REBOUND, the follow-up to his, Newbery-medal winning middle grade novel, THE CROSSOVER. This resulted in the school hosting a Skype visit with him. The students enjoyed their interview and learning more about such an accomplished author! Thank you to our teachers, administrators, and students who volunteered at our springtime open house last night to help parents learn more about all our school has to offer. 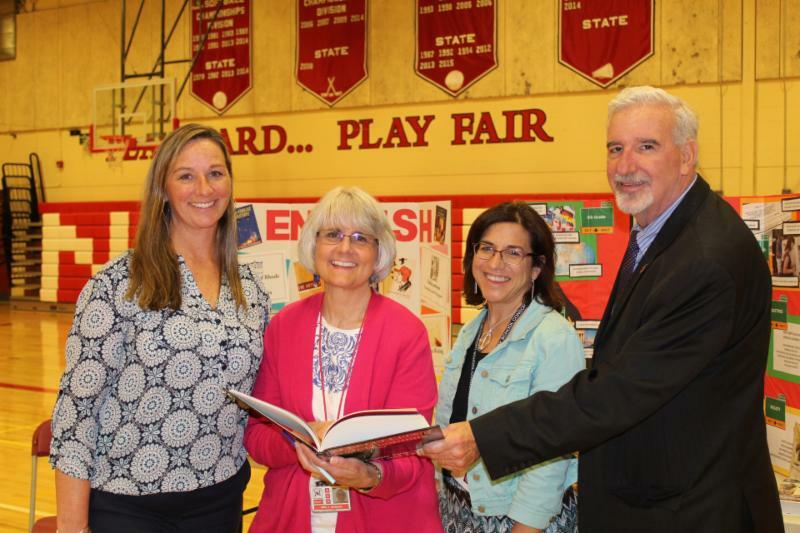 We welcomed families from both in district and as far as Cumberland, RI into our school. 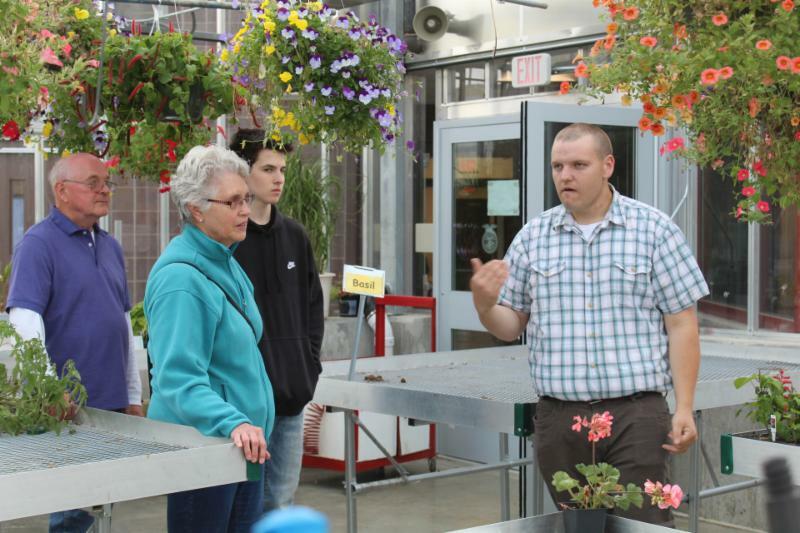 Student guides gave attendees a tour of our grounds and our many programs available to students through CTE pathways. For more information on these offerings or to schedule a private tour, please contact Joan Pratley. 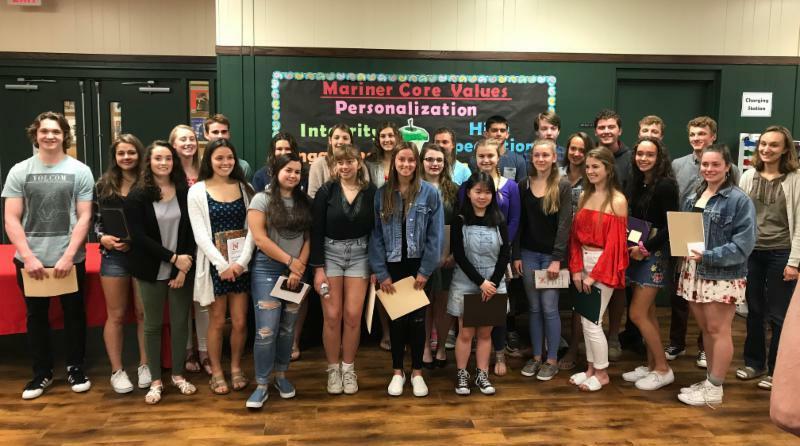 On Thursday, May 17th, Seniors at Narragansett High School took part in a Senior Day Celebration as the school year comes to a close. 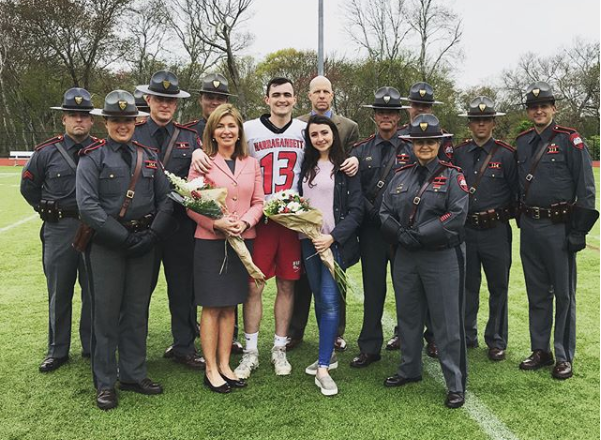 Senior Matt Ryan and his family received a special and surprise recognition from the R.I. State Police during the event to honor his father, Lieutenant Richard Ryan Jr., who passed away five years ago after a battle with cancer. Watch the touching video coverage from WPRI by clicking below. NHS Distributes Junior Book Award! We're so proud of all of our NHS Junior Book Award recipients for 2018. This year's recipients were recognized on May 30th at a morning ceremony at the high school. The book awards are distributed each year to students who are selected by a committee in the High School's guidance department. Thanks to all who took part in celebrating our talented and hard-working students.